I’m excited to be joining a group of over 20 other talented bloggers who are also sharing a Fall DIY wreath tutorial with you! Thanks to our friend Krista from The Happy Housie for hosting this Seasonal Simplicity Series and getting us all together! Today I’m going to show you an easy tutorial for a Two-step DIY Fall Wreath. Earlier this spring, I created this pretty spring wreath for our front door. I’ve kept it up all spring and summer long and honestly….I still love it and wish I could keep it up for fall. The only problem is that it definitely screams “spring!” I decided I’d change that in just 2 steps. 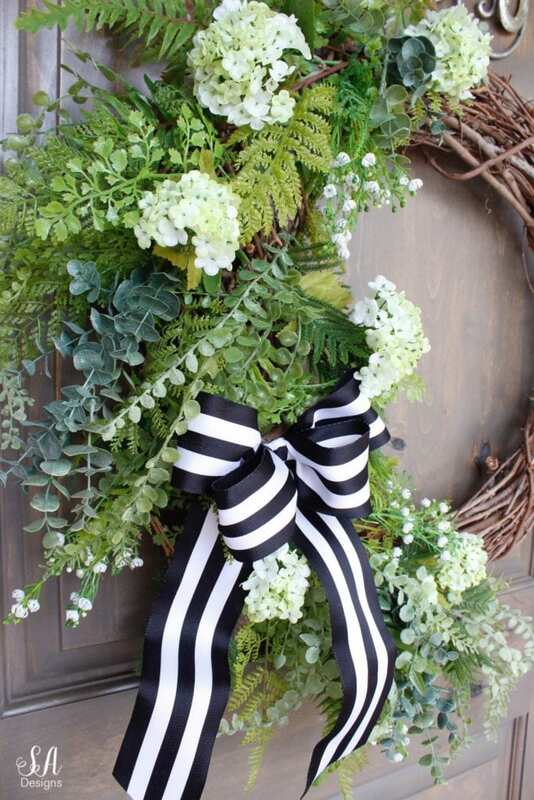 1- Grab the wreath that you want to transform into a fall wreath. Find some mini white styrofoam pumpkins (I found a small bag of them in the dollar section of Target for about $3) and insert wooden skewers through the bottom. You can break off most of the skewer and stick the pumpkin and about 4 inches of the skewer into the wreath and hot glue it in. I used about 6 pumpkins and placed them throughout one side of my asymmetrical wreath. You can use twice as many if you’re doing an entire wreath. 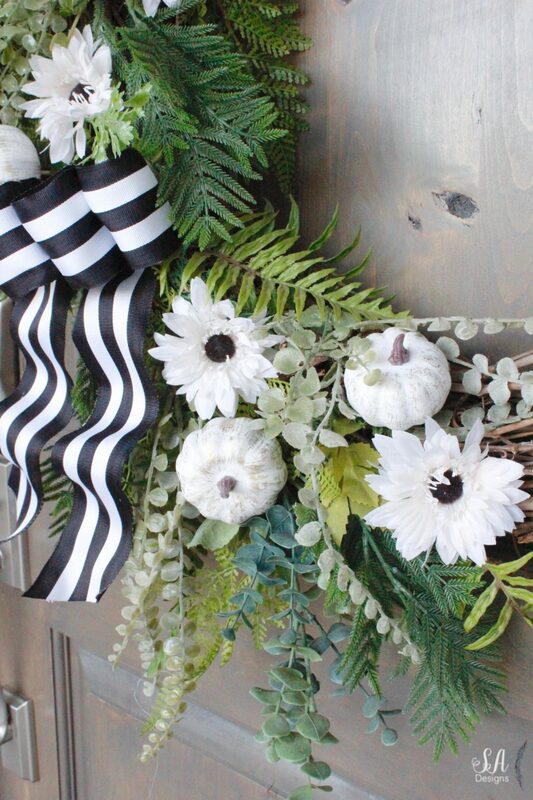 2 – Replace any elements of your wreath that is not “fall” with fall floral stems. For my wreath, I removed the spring stems of white flowers and limelight hydrangeas and grabbed some ivory fall floral stems that I found at Michael’s. They were only $3 on sale which means that it’s only cost $6 total for a fall wreath. I can remove the fall elements in the spring and put those spring stems (that I just removed) back in. It’s so versatile and I love it! My sweet friend was at one of our local farms the other day and texted me to tell me that the farmer’s wife found a handful of white pumpkins so she brought them home to me. 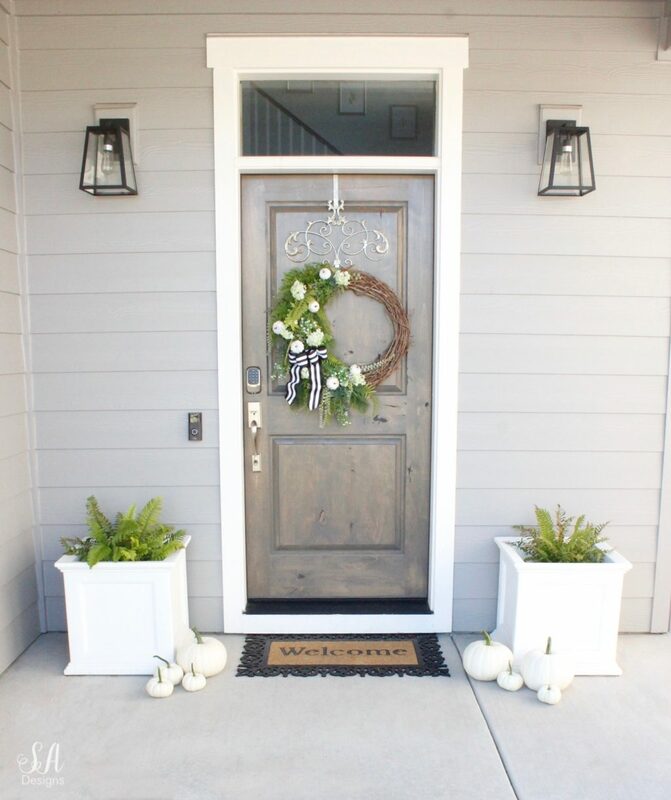 Until there are a lot more white pumpkins available, and some big enough for my stacked-pumpkin urn topiaries, I’m keeping my white nantucket planters with the ferns. I think it’s perfect for now and I have fern pieces in my wreath so they go well together. So that’s it! Just 2 easy steps in my two-step DIY fall wreath. 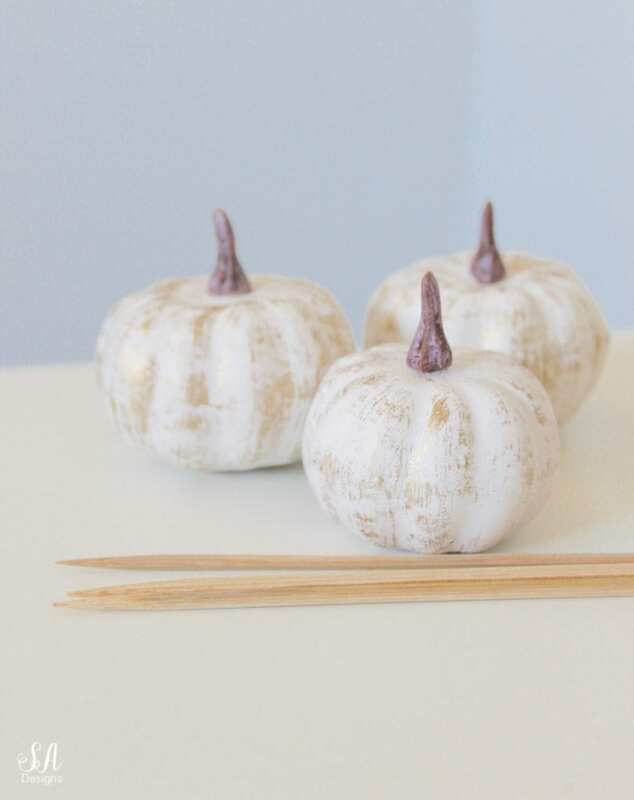 Add your little white pumpkins and replace any spring stems with fall stems. 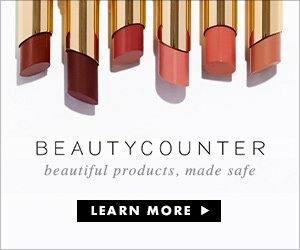 Click on the arrows to scroll right and left to shop items from my post. I love this, Summer! It’s so fresh and welcoming. I love that you incorporated fern stems. Everything here in Ga. is still very green, including the ferns,, ha! This really made me feel like home. It’s lovely! So pretty and fresh and crisp, Summer! A lovely welcome for early fall:) Glad you could join in on this hop! 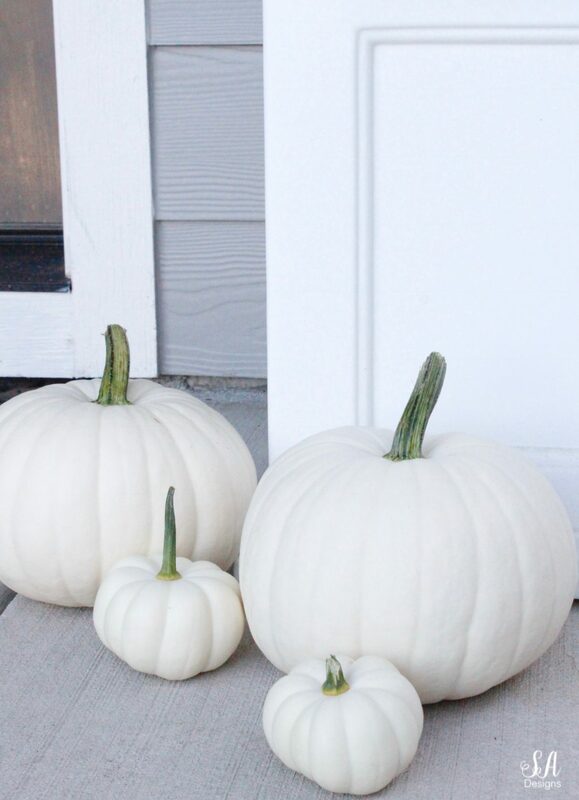 Love those little white pumpkins you placed in your wreath. 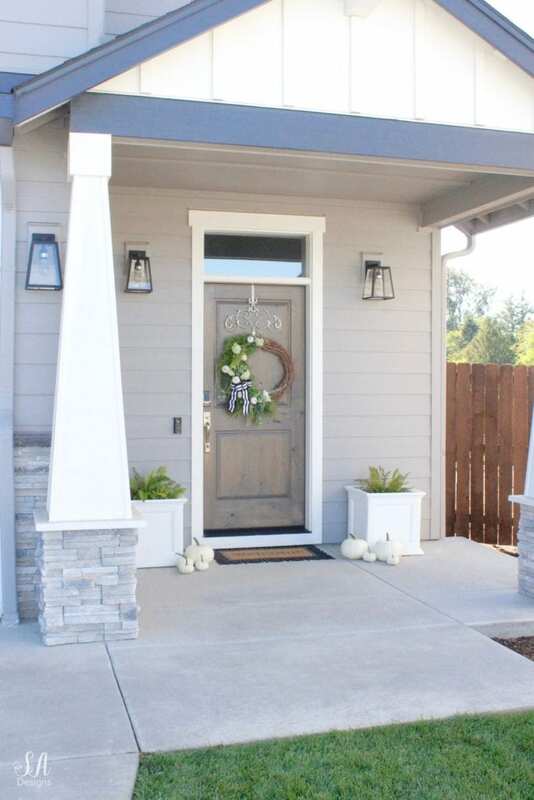 Your front porch is so beautiful and ready for fall! You amaze me with all your wonderful blog posts! 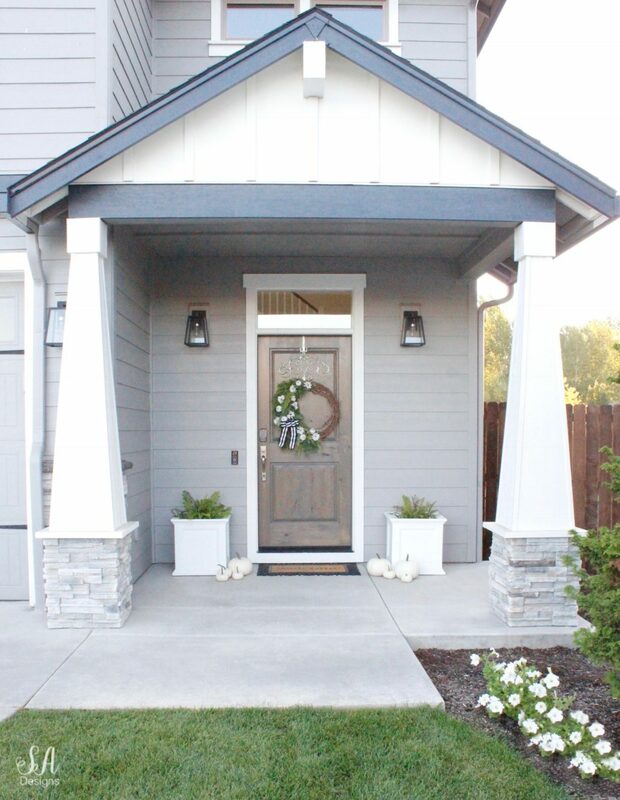 What a perfect wreath for your front door! Perfectly blends into your facade! SO pretty. Leslie thanks so very much! Very lovely Summer! The mini white pumpkins and ivory floral are such a great way to take your wreath from spring to fall…love it! Summer, I love how you updated your existing wreath! I need to do this more often! Great transition piece for going from summer to fall! Love the pumpkins! Lucky you! 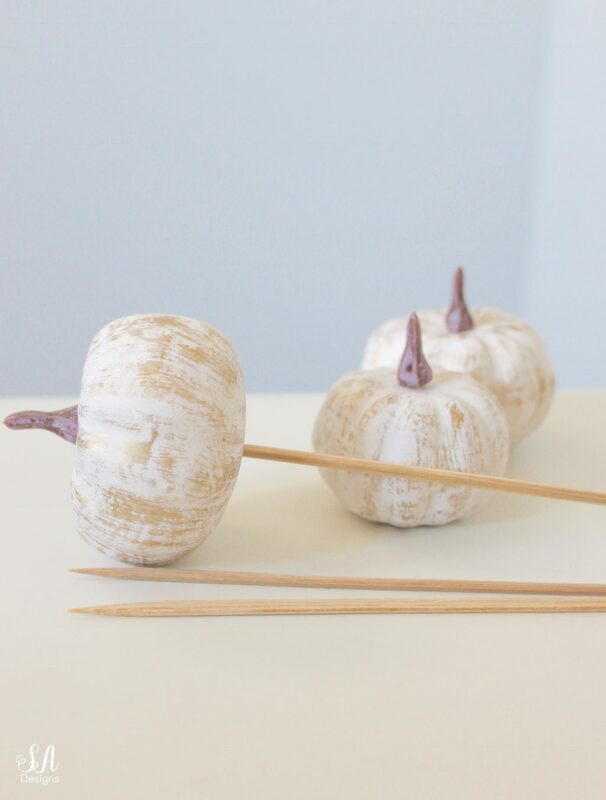 Scoring white pumpkins. 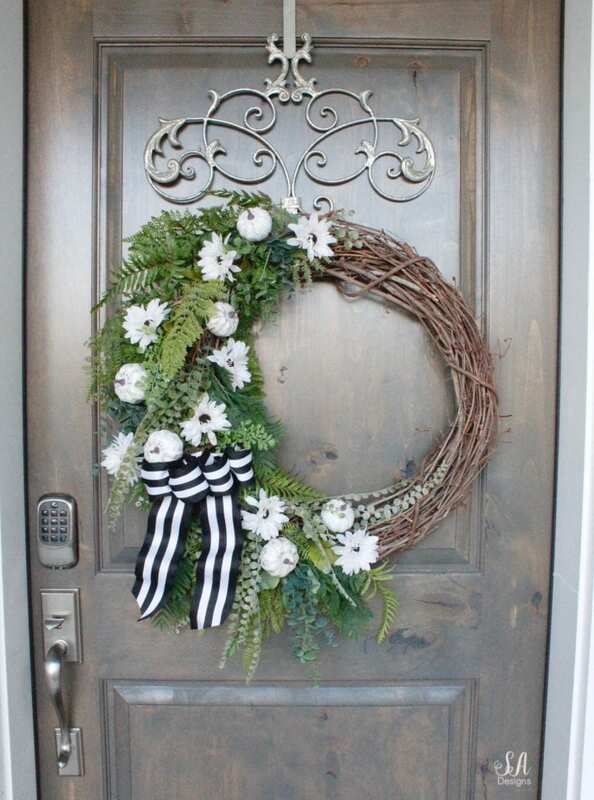 They look great and this wreath is gorgeous on your front door. 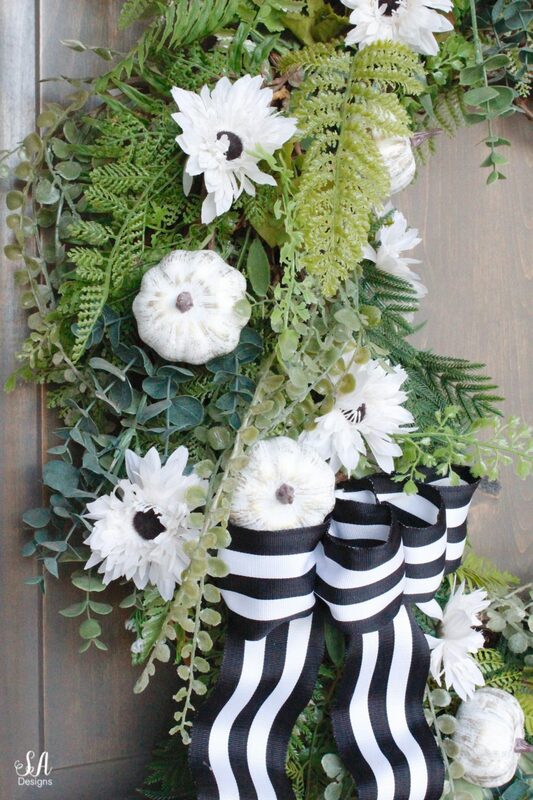 I love this fall wreath with white pumpkins! Simple and beautiful! Thank you for sharing.